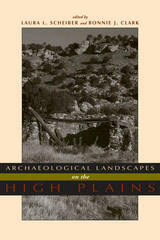 Archaeological Landscapes on the High Plains combines history, anthropology, archaeology, and geography to take a closer look at the relationships between land and people in this unique North American region. Focusing on long-term change, this book considers ethnographic literature, archaeological evidence, and environmental data spanning thousands of years of human presence to understand human perception and construction of landscape. The contributors offer cohesive and synthetic studies emphasizing hunter-gatherers and subsistence farmers. Using landscape as both reality and metaphor, Archaeological Landscapes on the High Plains explores the different and changing ways that people interacted with place in this transitional zone between the Rocky Mountains and the eastern prairies. David L. DeJarnette, the founder of scientific archaeology in the state of Alabama, reports on archaeological surveys and excavations undertaken in the ChattahoocheeRiverValley between 1947 and 1962. The three contributors, Wesley R. Hurt, Edward B. Kurjack, and Fred Lamar Pearson Jr., each made signal contributions to the archaeology of the southeastern states. With their mentor, David L. DeJarnette, they worked out a viable cultural chronology of the region from the earliest Paleoindian and Archaic foragers to the period of early European-Indian contact. They excavated key sites, including the Woodland period Shorter Mound, the protohistoric Abercrombie village, and Spanish Fort Apalachicola, in addition to a number of important Creek Indian town sites of the eighteenth century. All are here, illustrated abundantly by site photographs, maps, and of course, the artifacts recovered from these remarkable investigations. New scholarship provides insights into the archaeology and cultural history of African American life from a collection of sites in the Mid-Atlantic. This groundbreaking volume explores the archaeology of African American life and cultures in the Upper Mid-Atlantic region, using sites dating from the eighteenth through the twentieth centuries. Sites in Delaware, Pennsylvania, New Jersey, and New York are all examined, highlighting the potential for historical archaeology to illuminate the often overlooked contributions and experiences of the region’s free and enslaved African American settlers. 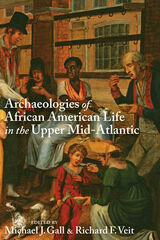 Archaeologies of African American Life in the Upper Mid-Atlantic brings together cutting-edge scholarship from both emerging and established scholars. 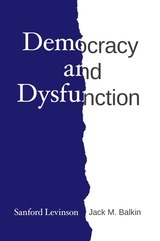 Analyzing the research through sophisticated theoretical lenses and employing up-to-date methodologies, the essays reveal the diverse ways in which African Americans reacted to and resisted the challenges posed by life in a borderland between the North and South through the transition from slavery to freedom. In addition to extensive archival research, contributors synthesize the material finds of archaeological work in slave quarter sites, tenant farms, communities, and graveyards. Editors Michael J. Gall and Richard F. Veit have gathered new and nuanced perspectives on the important role free and enslaved African Americans played in the region’s cultural history. 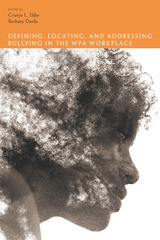 This collection provides scholars of the Mid-Atlantic and Northeast regions, African American studies, material culture studies, religious studies, slavery, the African diaspora, and historical archaeologists with a well-balanced array of rural archaeological sites that represent cultural traditions and developments among African Americans in the region. Collectively, these sites illustrate African Americans’ formation of fluid cultural and racial identities, communities, religious traditions, and modes of navigating complex cultural landscapes in the region under harsh and disenfranchising circumstances. Will Croft Barnes (1858–1937) first came to Arizona as a cavalryman and went on to become a rancher, state legislator, and conservationist. From 1905 to 1935, his travels throughout the state, largely on horseback, enabled him to gather the anecdotes and geographical information that came to constitute Arizona Place Names. 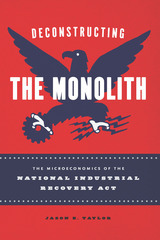 For this first toponymic encyclopedia of Arizona, Barnes compiled information from published histories, federal and state government documents, and reminiscences of "old timers, Indians, Mexicans, cowboys, sheep-herders, historians, any and everybody who had a story to tell as to the origin and meaning of Arizona names." The result is a book chock full of oddments, humor, and now-forgotten lore, which belongs on the night table as well as in the glove compartment. 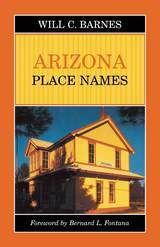 Barnes' original Arizona Place Names has become a booklover's favorite and is much in demand. 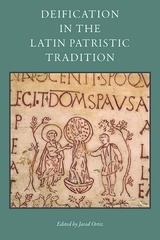 The University of Arizona Press is pleased to reissue this classic of Arizoniana, which remains as useful and timeless as it was more than half a century ago.